Makhani Masala is the very aromatic butter based tomato cream sauce seasoned with spices and herbs – the base gravy for most of the tomato based creamy dishes in the Indian restaurants. If you are familiar with the lip smacking, finger licking Paneer Makhani/Paneer Butter Masala (Indian Cheese in a Butter Sauce), Malai Koftas (Cheese balls stuffed with nuts raisins and spices cooked in a creamy sauce), Dal Makhani (Creamy buttery lentils) or the internationally famed Murgh or Chicken Makhani/Butter Chicken served in the Indian restaurants, this is one sauce they are all based on. 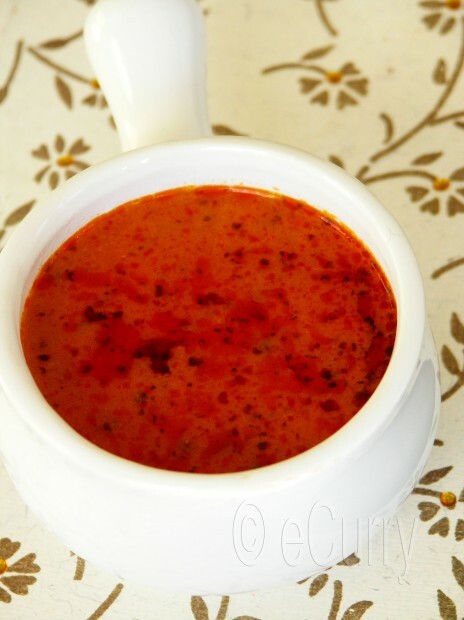 The Makhani masala can be adapted to form a gravy/sauce with a thick tomato base or with more cream/milk added, it makes the more popular light orange creamy sauce usually found in the restaurants. The word “makhani” comes form “makhan” which means butter. 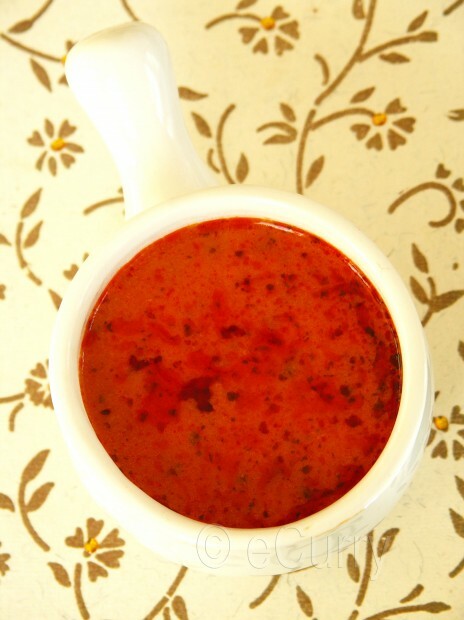 The origin of this sauce is in the northern regions of India (Punjab). Traditionally fresh butter and cream were used to cook this basic sauce. If you do not want to indulge the butter/ghee may be replaced with cooking oil ( I usually use Canola) and the cream may be substituted with half & half, or even regular whole milk. I have been using this recipe for many years now. The recipe has been a very trusted friend. A few cups stored in the freezer have allowed me to whip up very delicious dishes in few minutes. It has been handed down to most of my friends and relatives. During the first years of our marriage I had written down a recipe some “Bombay Palace” cookbook. 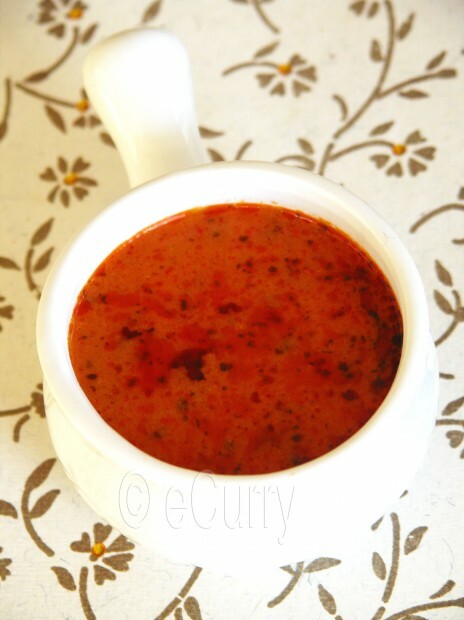 The original recipe has gone through some changes to adapt to our needs and taste over the years, but I will assure you that this is the best makhani sauce I have ever tasted. Once you have mastered this, you can really cook any of those famed dishes that appear in the menu of the Indian restaurants. Few notes here: The amount of cream added to this at the end will depend on the recipe you are going to make with this. The proportions I have written here makes a base sauce. The more popular “makhani” dishes will need more cream/milk to be added after you add the chicken/meat (for Murgh Makhani) or Paneer ( for Paneer Makhani) or Lentils (for Dal Makhani). It also depends on your personal taste. Sometimes when I want a less creamy and more tangy sauce I add only a little bit of cream. 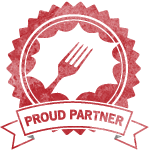 The days to indulge and have a restaurant style menu we do the regular amount of cream. This is a great recipe for parties and you can really hear the “wow” when the dishes cooked with this sauce looks and tastes so professionally done. Heat butter/ghee/oil & add cinnamon, cardamoms and fenugreek seeds. Once the seeds start to sizzle, add ginger garlic paste, salt, chili powder and stir and fry till fat (butter) separates, and starts to form small bubbles. Add tomato paste, green chili, cinnamon powder and kasuri methi (Mix the tomato paste with double the amount of water to make it like a puree of use Tomato Puree). Cook/simmer and reduce the tomato sauce, till done. (you will know which the fat/ and the spice mix/masala leaves the sides of the pan and the oil separates and you will definitely smell it!). Make sure to cover the pan as the sauce will bubble and splatter. Add heavy cream and milk. Boil/simmer for about 10 minutes. After the sauce is done, proceed to cook whatever dish you have decided. *Note: If you want a smooth creamy sauce, blend the cooked sauce in a blender (spices and all) to make a smooth puree. The masala/sauce can be frozen in airtight containers for quite a few months. BUT if you want to freeze it, DO NOT add the cream and the milk. Add the cream and the milk when you want to use it to prepare the final dish. Murgh/Chicken Makhani: Boneless chicken pieces are marinated and grilled on the stove top or grill or tandoor and cooked in the makhani sauce. Paneer Makhani: Cubes of paneer (Indian cheese) are simmered in the makhani sauce. Dal Makhani: Lentils are slowly simmered in the makhani sauce. Malai Kofta: Paneer/Indian Cheese is mashed and formed into balls which are stuffed with nuts, raisins etc. These are then deep fried and thereafter simmered in makhani sauce. I tried this out today. Made Chicken makhani ! It turned out delicious ! I am so glad that u got to try it out. Thank you so much for letting me know! haa..Thanks for lretting me know Soma..I’ll try this..My doubt is..this heavy cream means normal whipping cream or is there heavy cream in market? Oh dear Soma this looks heavenly and I do love the idea of keeping something like this in the freezer for quick starting a wonderful meal! And I even just found black cardamoms at Penseys!! butter and cream?! im in!! Wow, this soup sounds amazing and rich in flavour. You got me at butter and cream…Looks and sounds so delicious! Great flavours. That looks so delicious… I found a butter cream sauce recipe I really love but I am going to try this one for sure! Lovely recipe and it looks so colourful and vibrant. Wonderfully spicy! An interesting tomato sauce. Wow…that looks so colorful….just need some nan and ghee rice !! Love that rich beautiful red color. Glad you posted this wonderful recipe for masala, I was on the lookout for one. I used the tomato paste from Sprouts and loved it. Do you have any recommendation for tomato puree? any store bought brand will do; i usually get from costco in large scale if I need it. For this recipe I had meant fresh tomatoes, and I have updated the post. It takes longer to cook the fresh ones.You can chop fresh tomatoes too, but with a blended/pureed the consistency of the sauce is smooth. Love love this sauce and i am sure bookmarking them. Just made a chicken from you place. I love it that i can make this sauce in bigger quanities and freeze them . Mmmm … this explains why all the creamy paneer dishes I’ve eaten in restaurants are so good. oh, that’s the secret to good makhani! I’m really looking forward to your dhal makhani! Yum! Rich color and a good basic tomato sauce..I use it only for paneer shoulg try makhni..
Love the vibrant look of the sauce. The ingredients are so interesting I can only imagine what a wonderful taste it has. I usually freeze the butter chicken- Freezing the base sauce is great idea! The color is vibrant! this is a wonderful recipe and freezing it is such a cool idea… am waiting for the other recipes that use this sauce as the base! I absolutely love everything about this! So rich and spicy. I can’t even imagine how delicious it must be. Is it okay to replace the fresh pureed tomato with store bought canned pureed tomato? I need to eat this as soon as humanly possible. Im wondering if you could replace the milk and cream with coconut milk or cream and still maintain sort of the same result? I have never used coconut milk or cream in it. Are you thinking of a vegan version? It is definitely doable but I am not sure that it will have the same “authentic” taste; You could give it a shot. I am thinking it will taste good, if not traditionally good. Use less amount than the regular milk or cream if you have to use coconut milk/cream.. may be half the amount or less. Coconut milk/cream has strong flavor and it will overwhelm the expected flavor of the dish. I am thinking if you could use cashew or almond paste (may be 1-2 tablespoons) while cooking and not use the cream or milk at all if you do not want to. Don’t know if i could provide a satisfactory answer :-). For the Chicken Makhani what do you marinate the chicken with? Also, do you add the heavy cream after the chicken is cooked in the makhani sauce or before adding the chicken? but not the cheese cream etc… if I have to use it quick I use a little bit of meat tenderizer ( I get the papaya extract from the Indian groceries). This breaks down the fiber of the Chicken Breast pieces and makes them soft and succulent which works best in a makhani. grill the small pieces of chicken. I usually use my stove top grill with or without skewers, but just cooking them on high heat in a pan will work too. Make sure they are done, but not falling apart, and slightly browned (not a whole lot as it will stiffen and will not absorb any sauce). Take the cooked pieces and simmer it in the sauce for about 15 minutes at low heat. You can add some water or milk if the sauce gets too thick. after simmering add the cream or milk ( the amount is as per your taste.. for a very creamy yellowish color add more; if you want a slight tang and want it to stay more on the red side add less cream) and some sprinkle of some more kasuri methi and simmer for 10 more minutes. switch off the heat. 1/4 cup ghee? isn’t that a lot? Yes it is! The measuring cup; not regular coffee cup). This is makhani masala, remember:-). This is also the base sauce for anything that you are going to cook later in a larger quantity… and will not need to add further oil/ghee for cooking. Since you do not eat the sauce by itself, it does turn out to be just right along with chicken/paneer/dal/kofta etc. I found your murgh sauce right before you sent the email. It looks fantastic. Thank you! One word to describe this sauce: WOW. This is the recipe that I have been looking for. Today we finally had butter chicken that actually tastes like the one in our favourite take away in Sydney. And I can tell you that I have tried at least 20 recipes to match that taste after we left Sydney, but they were one disappointment after another. But thanks to you and this recipe, butter chicken is once again the number one in my family. I’ll be a fan of this blog forever! I am very very happy that it worked out for you. This recipe became a keeper in our family too, after a lot of trials. Thanks for letting me know. Am I supposed to leave the chilis and cinnamon stick in it? I am making the dal makhani and they are just floating on top. They are supposed to stay in their as they impart the flavor during cooking. if it annoys you, you can remove them after the dish is cooked. Hi …great recipe ..could you please explain how u made the puree (as in did u blanch the tomatoes and then puree ) Also did u use home made ginger , garlic paste? Could you specify how u made the paste? (as in did u add water / salt to the paste while grinding?? )this looks so good and I just want to get it down to the T! You will not need to blanch the tomatoes. It is as easy as chopping them and blending them; do not add any water. yes home made ginger garlic paste. peel and chop the ginger, peel the garlic. Blend them in the blender, with as little water as it requires. The more water you add, the longer it will take you to cook/reduce. No need to add salt. Mind it that this is only a base sauce; you cannot have it just by itself. Hope this helps. Soma, I blogged about this masala. Thank you! Bookmarked! Saw this link on nupur’s blog and HAD to bookmark. Will try this next week! No the whole cinnamon/clove etc does not need to be ground into a paste. 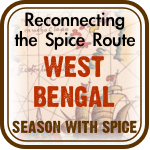 The whole spices will release their aroma once it hits the hot oil/ghee, and more when they simmer with the sauce. If you find them annoying, you can puree the masala mix after it is cooked or pick up the cardamom/cinnamon and discard them (you will not be able to do this with the fenugreek seeds tho’). The Tikka Masala recipe is actually not the same as the Makhani recipe. i am sorry I do not have the Tikka Masala/or any tikka recipe for that matter in the blog yet.. looks like I have to post one soon :). I do use some of the makhani masala kind when I make the Chicken Tikka Masala at home, but also make a masala mix with onions, ginger, garlic and more tomatoes. The tikka masala uses some cream, but not as much as the Makhani masala does. Loved this recipe. the moment it started cooking i knew i have hit a jackpot :). You know to be honest, I have made Navratan Korma enough times to advise. I think the traditional Nav. Korma uses yogurt and cashews(paste and whole/broken). But when I make Paneer Makhani, just for the family, I add bell peppers, onions, sometimes raisins, and chunks of onion and simmer the sauce a little thicker (like to coat the paneer and veggies, instead of soupy), and it tastes darn good. Don’t know if that can be called an authentic Navratan Korma, but it tastes different but good. If you do not want the “too makhani” kind of flavor, skip the kasuri methi (but I love the flavor anywhere).. and add cashew paste. I hope this helps and I do not create a disaster for the little one’s special day! 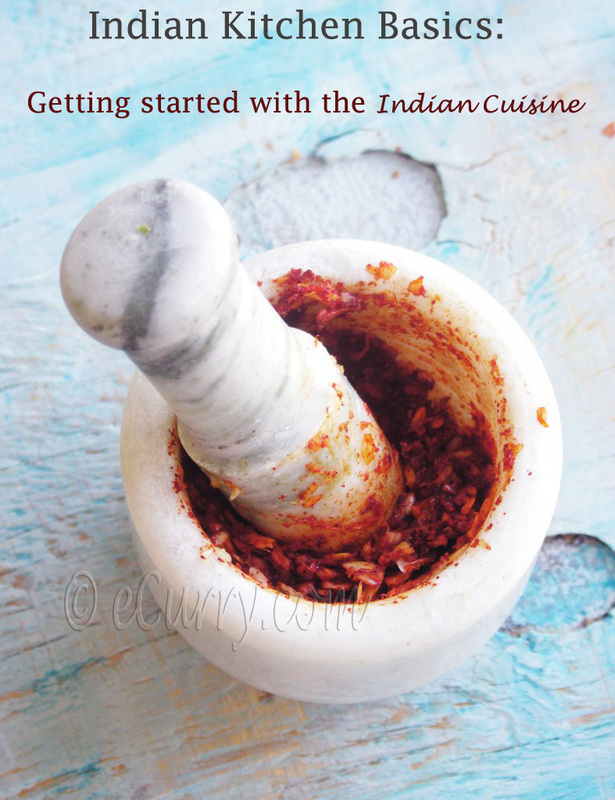 I tested and tested serie of recipes, bought 3 indian cook books until found Your recipe. Its a jackpot! X-mas dinner was saved; Malai kofta as it should be! I cannot even tell you how happy you make me with this comment! Hugs to you. Yes this recipe is a keeper, I know. But to have someone else try it and love it means a whole lot more to me. Thank you! Thank you! 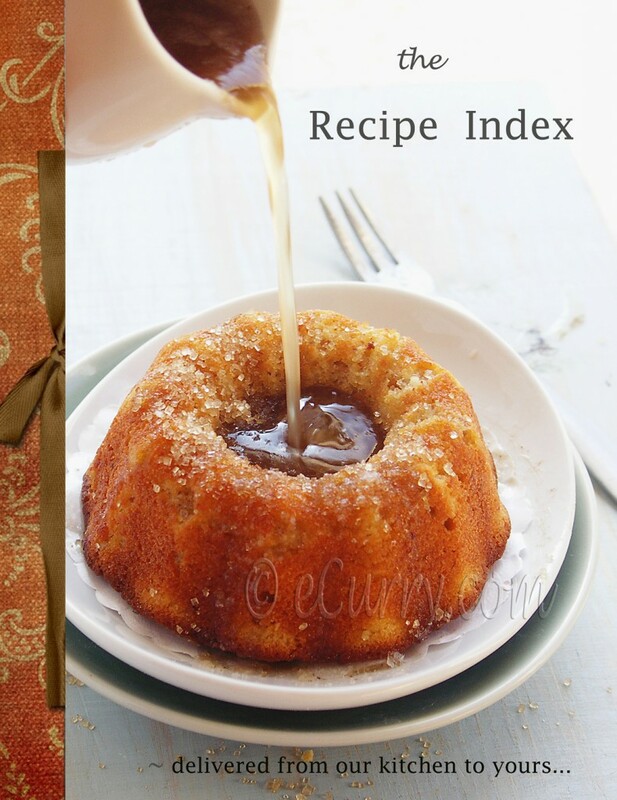 great recipe but u miss fresh butter nan………. do you leave the green and black cardamom “as a whole”, or do you cut it/break it and only use the seeds inside? The skin has flavors too. So it is a good idea to pound the cardamom to release the seeds. I cook with both the seeds and the skin. I can’t get out to get the green peppers(serranos) can I use whole dried red peppers? or add some cayenne powder? Also, I’ve found black cardamon to have a harsh flavor, can I use more green cardamon instead? Thank you for you quick answer. I think I’ll use one black and 4 green. I don’t want to throw the balance off altogether. Best sauce ever!!! I also added 1 grated onion with ginger-garlic. Thank u so very much for the Makhani Masala Recipe…have been trying to make this for long time…didnt get it quite right…will try ur methods n hope it is the perfect taste for the many varied Desi dishes my self n family love…eg Dhal Makhani..Malai Kofta..I am vegetaria..so the perfect sauce will add perfect taste to the dishes..Thank U..
I’m a little confused. I’m comparing this to your complete Butter Chicken recipe. They’re different. The part I’m confused to- THIS RECIPE- to finish it off, just add the cream and it’s finished? There are a few differences with the other butter chicken recipe- like the almond paste and such. This version is much simpler than the other. We don’t eat meat so I would just be adding veggies. But I ordered all my spices and am ready to go! I just wanted to know if this base sauce recipe is just good to go once you add the cream. Thanks! That is the base recipe for any “Makhani” I make. You will always have to add cream to the Makhani dishes. 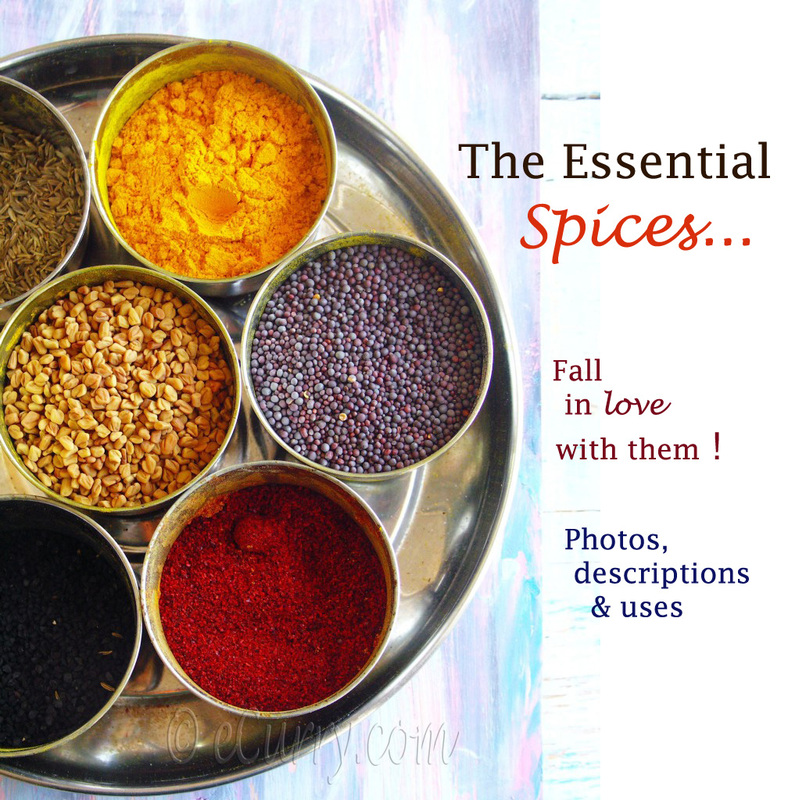 The other ingredients depend on what kind of makhani you are making. The nut paste is not a nescessity. It is used to make the sauce creamy and for some subtle flavors, but it is doable without. There are people do not use nuts for various reason : allergies or whatever. That is why I have not mentioned it in the base recipe. If you use nut paste, you may use a little less cream too. Scroll down below in that post and I have a list of recipes/post using the sauce (Paneer Makhani, Gobi/Cauliflower Makhaki, Malai Kofta and Dal Makhani for vegetarian options. – but you really can add whatever you want following the general process). I hope this helps. Ask if you need to clarify anything else. Give it a go. This is one of the most tried recipes and others have been quite happy with it. We have been eating in Indian restaurants for roughly twenty years now. Mostly we order Paneer Makhani and Malai Kofta. We used to order chicken Makhani but turned quasi vegetarian in the last few years. The only reason we went to Indian Restaurants was because nothing we cooked resembled the Makhani or Kofta sauce. I just had a little time on my hand so I googled and found two recipes. I had to reject the first one because the picture looked darker and not the bright red I am used to seeing in restaurants. Your sight had the picture I was looking for. I was short just one thing, so I had to make do without Methi seeds, but I did have methi leaves which a Bengali had once introduced to us. I was also in a hurry to taste, if the recipe even came close; so I pureed the tomatoes with skin on, which did not give smooth texture. No turmeric and no onion, how could an Indian recipe be. That would be another reason why I chose your recipe. To my utter surprise and delight, the sauce came out to be as close as it gets to restaurant sauce. I did add some Paneer Makhani garam masala in the end, since I did not see that in the recipe and without the masala, the spoon taste did not quite resemble the taste memory. I hope to be disciplined enough next time to have all the ingredients and make it exactly like the recipe. Thank you for giving hope. How much does 5 cups of pureed fresh tomatoes weigh? are you serious about blending in all the spices? like – the cinnamon and cardamom too? that seems extreme! I am serious! Trust me and give it a try. I have been doing this for years. If you have a good blender you will find no traces of them, yet the flavors remain. There is nothing in those spices which will impart a negative flavor. I did my best to make this, and it smelled ABSOLUTLEY amazing. I must have done something wrong though, as the resulting sauce was slightly bitter. Any idea where I might have gone wrong? Delicious. I added lots more green chiles, turmeric and cumin. It is spicy! Exactly what I was look for. Thank you!